“Survivor” 1966 Mercedes 230sl: Always garaged; factory-original paint; original interior (factory-original carpets, seats, door panels); original fenders (factory-original notches and spot-welds); factory-original undercarriage paint; original trunk floors; excellent original chrome; all numbers match; 90,794 original miles; original books; original tools; service records and hand-written records. 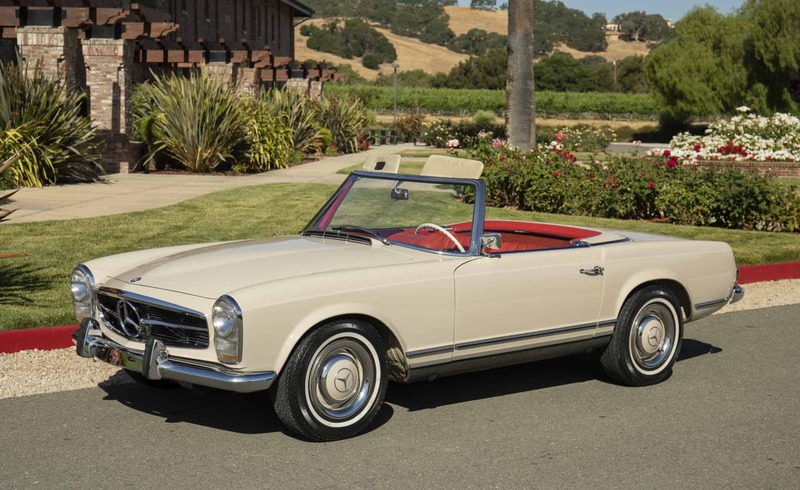 One of the finest original Pagoda examples on the market anywhere. Stored in a garage on the West Coast it’s entire life, rarely driven, always serviced and kept up. We go to extents to document our cars in pictures and provide the most transparent listings on Ebay. Please study the pictures carefully rather than requesting descriptions. Please complete any inspections or ask any questions prior to bidding or committing to buy the car. Thanks for the interest!